The Book Week Celebrations are going to be amazing this year! Brisbane will be hosting the Book of the Year Awards and all the talent is going to be in town for it! 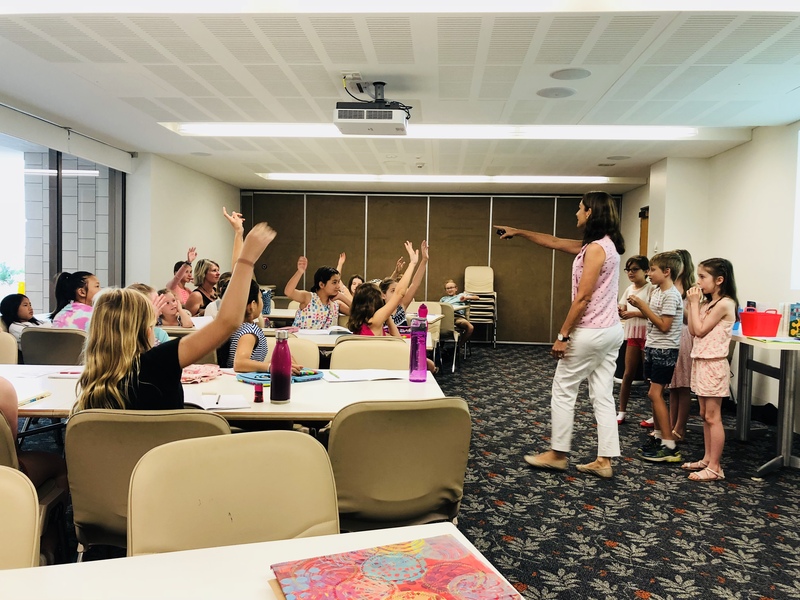 Book Links Queensland is partnering with The Children’s Book Council Australia, Queensland Branch and the State Library of Queensland to create a day full of events for children and young people. On Saturday 18th August Book Week celebrations for children and YA will take place at the Queensland State Library on Southbank from 10:00am – 2:00pm. Be aware sessions are running concurrently and may need to be booked! Choices can be tough! Authentic Teen Voices A YA Panel featuring authors Charlie Archbold, Cath Crowley, Simmone Howell and Fiona Wood. Chaired by CBCA (Qld President) Trish Buckley. How do authors create authentic teen voices? What does that even mean? Join four CBCA award winning young adult novelists as they discuss their processes for developing a realistic character. The panel discussion will conclude with time at the end for audience questions. How to Journal like a Genius – A writing journal is like a small bird’s nest, an important place where tiny ideas grow and hatch. Discover the way keeping a journal can help a writer welcome crackling ideas and fresh new ways of seeing the world! Come along for a fun and interactive session with Lisa Shanahan, author of The Grand, Genius Summer of Henry Hoobler, suitable for children aged 8-12 years. Join Ronojoy Ghosh illustrator of I’m an Australian Too by Mem Fox. Put on your pilot clothes and have your photo taken with Prue Mason. Meet two real-life pilots – Kerry and Prue. Kerry is a captain for Virgin Airlines and has been flying for over 50 years. Prue flies vintage aeroplanes for fun and is a member of the Australian Women Pilot’s Association. Anything you want to know about aeroplanes and flying they will be able to find the answer for you. Fact: 120 years ago there were no aeroplanes in Australia or the world. Now in Australia there are more than 20,000 aircraft. See for yourself how many aeroplanes are flying around Australia and the world in real time with the Radar 24 app. Learn how to master the art of making your own paper Galaxy Fighter or Stealth Invader. You too can be an Amazing Australian in a Flying Machine. Dress up like a pilot in the old days or become a modern day airline captain. Grab a selfie to show your friends that flying is fun! A giant book of Rodney Loses It will be read to the crowds with Christina Krebs. Learn how to draw Rodney! Meet Peter Carnavas author and illustrator of The Elephant. Hark! It’s Storytime! Discover the glorious fun and magic of picture books! Join award-winning author Lisa Shanahan, for an energetic, interactive story time session, exploring Hark, It’s Me, Ruby Lee and Bear and Chook by the Sea, suitable for younger children aged 5-8 years. Book readings, book signings and hands on activities. The Library Bookshop will be open the whole day! Please spread the word! Share on social media with your friends! You don’t want to miss this meeting our Aussie Book Celebs! For more information about the official announcement of the CBCA Book Week Awards or how to tune in for a live streaming, check http://cbca.org.au/ for details. Write Links’ Mini Fest is A GO! Join award winning and multi-published children’s and YA authors and illustrators Peter Carnavas, Isobelle Carmody and Dave Lowe for a day of master classes on Saturday the 11th of August at the State Library on South Bank. Learn from these talented authors and illustrators, get your questions answered and your books signed. 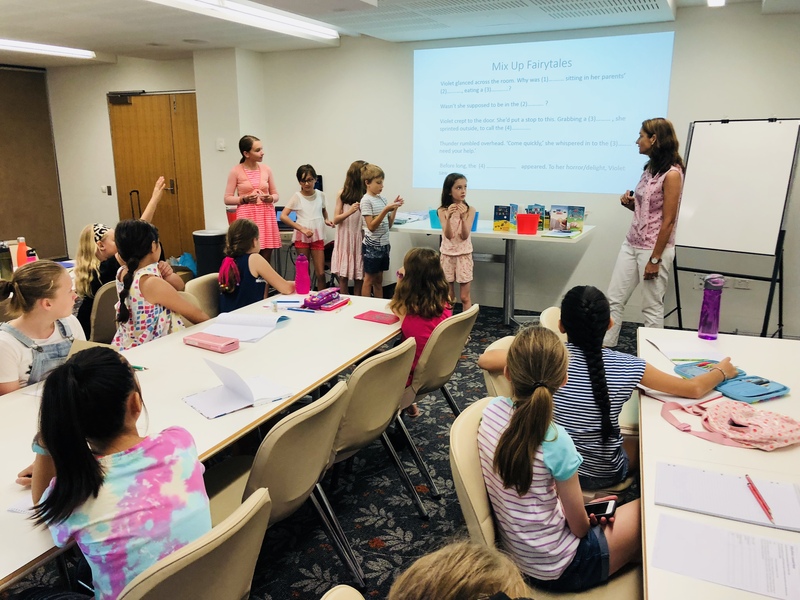 These master classes will be especially of interest to emerging and experienced children’s and YA writers, but newbies and lovers of children’s literature are also welcome. Planned by authors for authors, Write Links members and YA and Children’s Book Authors Hayley Jackson and Charlotte Barkla with assistance of children’s author and illustrator and Write Links Coordinator Yvonne Mes have been planning this amazing event and they know just what you are looking for! 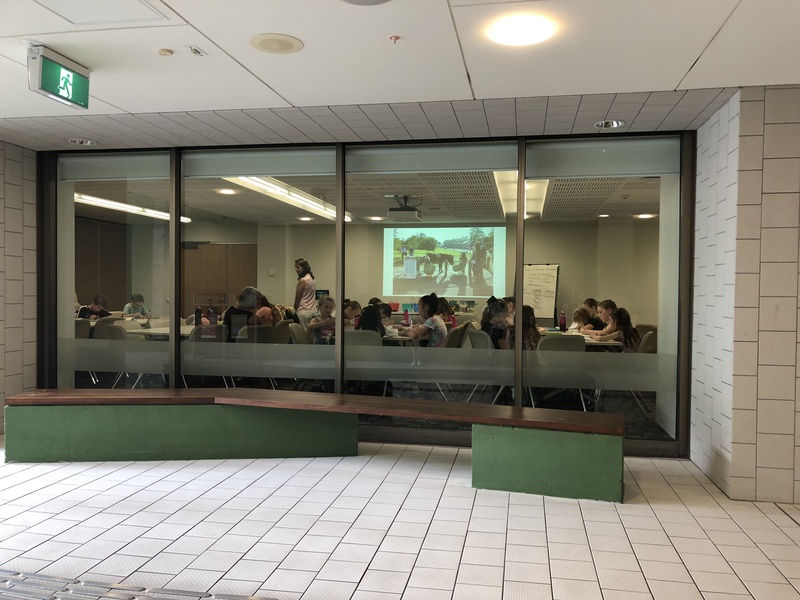 They have aimed to give you a well-rounded day which looks at everything from picture books to writing for Young Adults and to go beyond the basics. The presenters have been selected based on their engaging and informative presentation styles and their expertise in their areas. This event would not be possible without the support from Book Links. 8.30 am- 10.30am Peter Carnavas, Picture Book and Junior Fiction Author and Illustrator talks about picture book writing and illustrating. 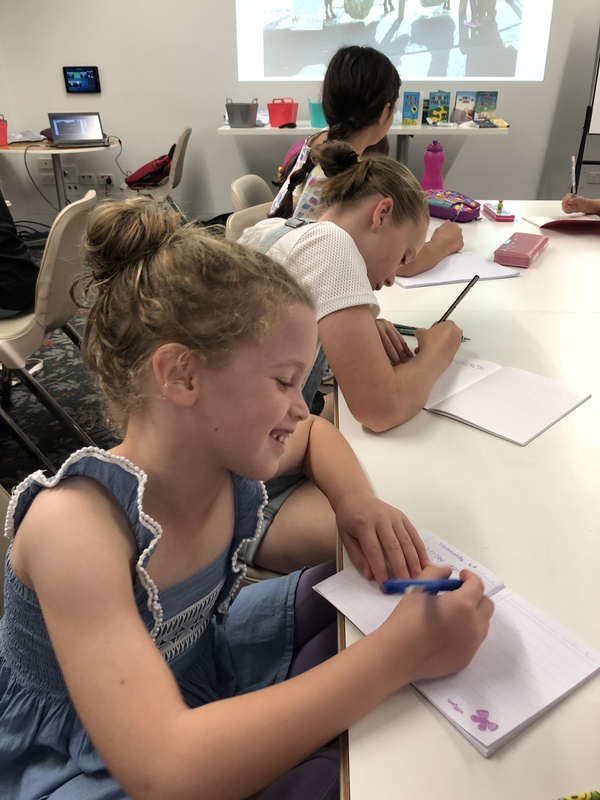 11am – 1pm Isobelle Carmody, YA and Children’s Writer will look at developing an authentic voice across a novel, creating diverse characters and developing strong character arcs. 2.30pm – 4.30pm Dave Lowe, Junior Novel Author will focus on instilling humour into your story and structuring your junior fiction novel. Please note that morning tea and lunch are not included. You can purchase food and drinks from the Bookshop Cafe and Whale Mall Cafe. Book signings will take place in the Library Bookshop across from Room 1B. Peter creates picture books for children and grown-ups to enjoy. He writes simple yet poignant tales, accompanied by whimsical illustrations, which combine to create layers of meaning for the reader. His books include Jessica’s Box, Last Tree in the City, The Great Expedition and his latest picture book, The Children Who Loved Books, a warm and moving celebration of books and the ways in which they bring us together. He has also collaborated with Pat Flynn on My Totally Awesome Story, an action-packed comedy that manages to make kids laugh and learn how to write stories at the same time. 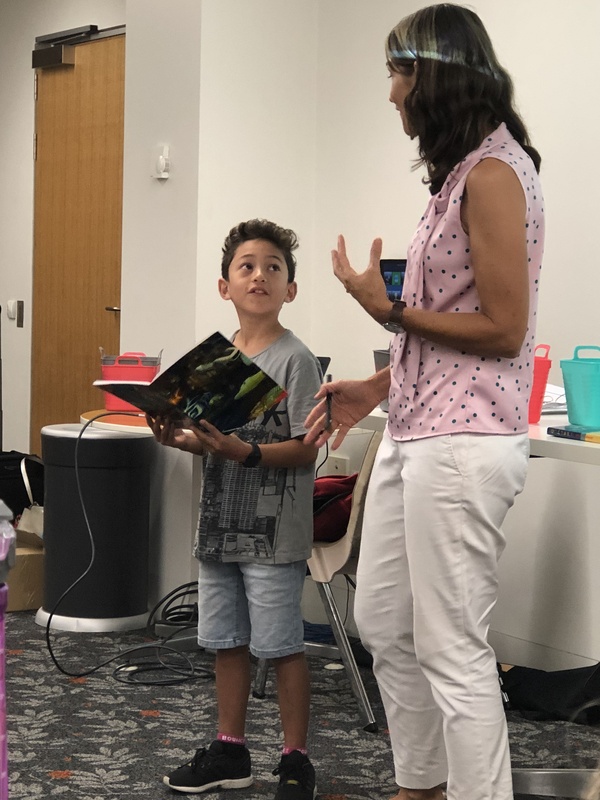 Peter’s presentations involve cartooning, storytelling tips, illustration techniques, hands-on fun and lots of audience participation. With a background in primary school teaching, Peter has a natural rapport with children and loves showing them how they can create stories and illustrations themselves. Peter’s work has been nominated for many awards, including the Queensland Premier’s Literary Award, The Children’s Book Council of Australia Crichton Award and Speech Pathology Australia’s Book of the Year Award. His books have been translated into many languages. Peter was honoured to be a National Year of Reading Ambassador in 2012 and continues his role as a Love2Read National Ambassador in 2013. Isobelle Carmody is one of Australia’s most highly acclaimed authors of fantasy. At fourteen, she began Obernewtyn, the first book in her much-loved Obernewtyn Chronicles, and has since written many works in this genre. Her novel The Gathering was joint winner of the 1993 Children’s Literature Peace Prize and the 1994 CBCA Book of the Year Award, and Greylands was joint winner of the 1997 Aurealis Award for Excellence in Speculative Fiction (Young Adult category), and was named a White Raven at the 1998 Bologna Children’s Book Fair. 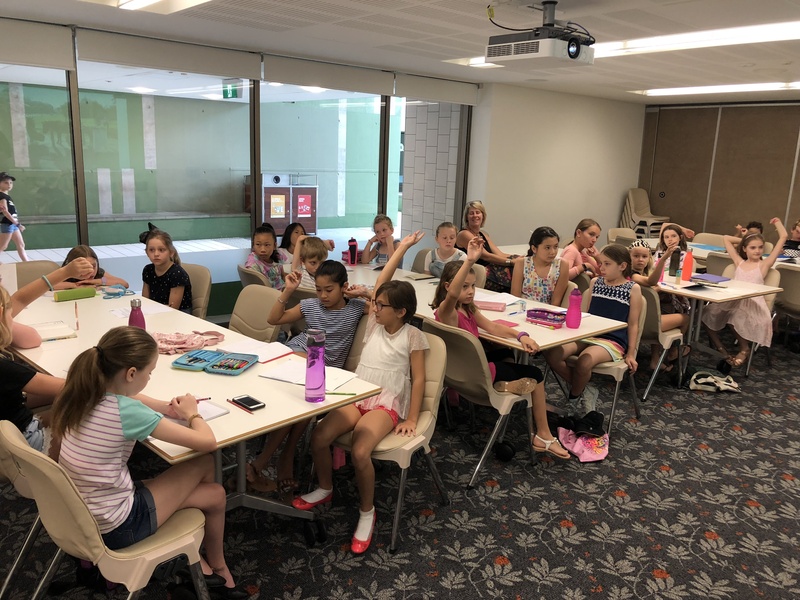 Isobelle’s work for younger readers includes her two series, The Legend of Little Fur, and The Kingdom of the Lost, the first book of which, The Red Wind, won the CBCA Book of the Year Award for Younger Readers in 2011. She has also written several picture books as well as collections of short stories for children, young adults and adults. Dave is a Brisbane-based author of twelve acclaimed books aimed at children between 7 and 11. The ‘Stinky and Jinks’ books, illustrated by Mark Chambers, follow the exciting adventures of a boy and his genius hamster. The first book, My Hamster is a Genius, was highly commended at the prestigious Sheffield Book Awards in the UK in 2013 (second only to Tom Gates) and the series (six books) has already been translated into six languages, and has sold over 100,000 copies worldwide. What are you waiting for? Book your ticket now! The room was buzzing with anticipation. Jackie French, National Patron of Book Links, is always a passionate and inspiring speaker. Today she was talking to a small group of writers about Writing History, in particular for children. Through reading historical fiction, children can experience life as every character in the story. Jackie feels this can only happen in books not TV. Through well written books you can experience the smell and taste of the era. Jackie talked about children’s ability to self-sensor or gloss over challenging events. The sensitive author provides a way for children to hold anguish and terror at arm’s length. Children understand that bad things do happen and they must know how to deal with them. This understanding gives children hope that they can also overcome the struggles they are experiencing or that they feel might be ahead of them. Jackie passionately believes that historical fiction matters because things change. One day things won’t be the same. Children can learn not to be frightened of change. The author can create a safe place for them to examine what happened in the past. They need to know what has happened because by understanding what has happened we learn how to stop the future ogre’s destroying people and civilisation. As writers, Jackie told us the depth of knowledge required to write historical fiction is substantial. If you need to research for a book then you are not ready to write it because you don’t know what you need to know. keep it small – set it over a day or like Jackie did in Hitler’s Daughter, at the end of the war when the concentration camps were no longer so strictly run so she didn’t need to know the exact routines. Jackie donated her time to Book Links. Funds go to writing workshops for children. Jackie and Book Links President Yvonne Mes and the donation Bunyip. sy. They may also feel the present is not easy and may be unsure about their future. This understanding gives children the courage to survive all the things to come, to face and take on the challenges in our imperfect world. We passed up on the opportunity to ask questions just to get a few more minutes of listening to Jackie. I have to admit to shedding a few tears at the stories she told of the bravery and sacrifice of people that she had uncovered in her passionate uncovering of memoirs and secrets. New Event – Jackie French talks about Writing and Researching History and the Thrill of Finding Secrets. 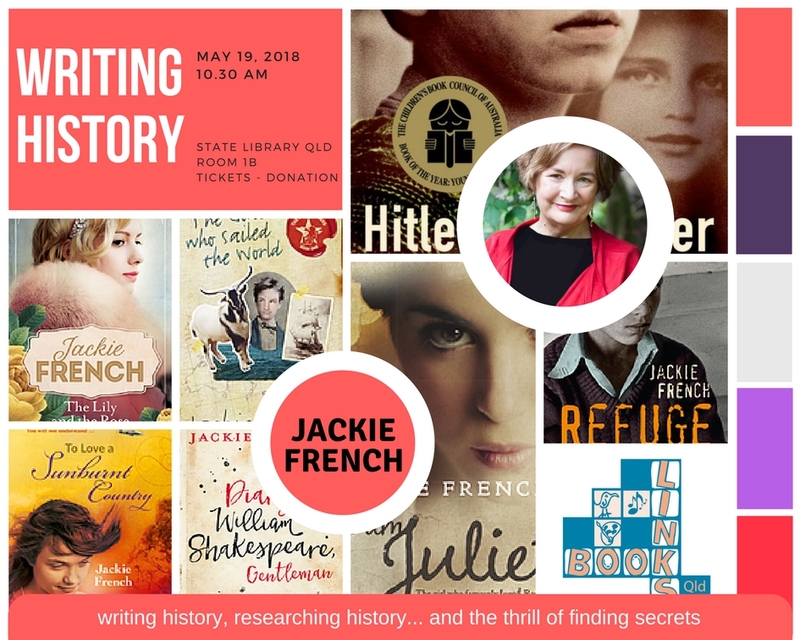 Book Links is proud to present a morning with Jackie French! Book your tickets now and pay a donation! Saturday May 19th, 10.30am Room 1B, State Library QLD, Southbank. 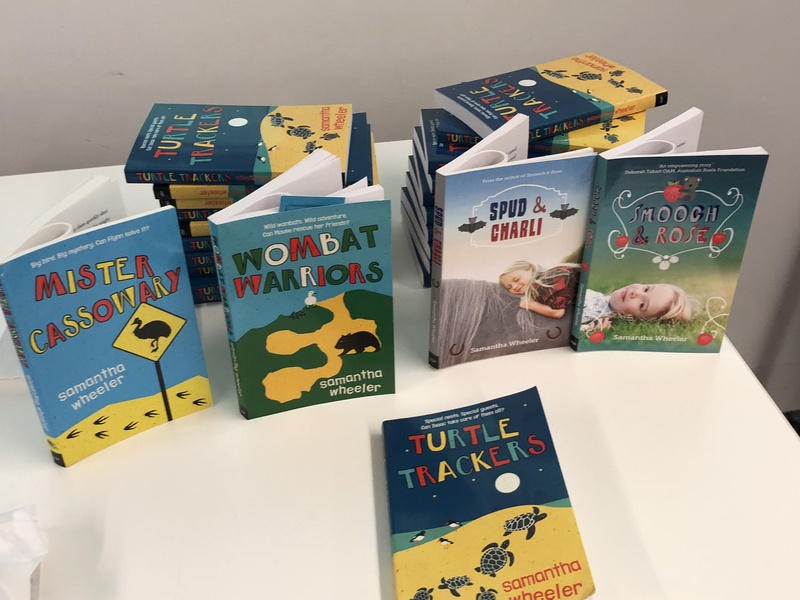 These lucky children were not only able to have a workshop with Samantha Wheeler and practise their writing skills on the 24th of March, they also took home a copy of her latest junior fiction novel, Turtle Trackers, BEFORE it was launched that afternoon! Samantha was impressed by the enthusiasm and knowledge the children brought to the workshop.